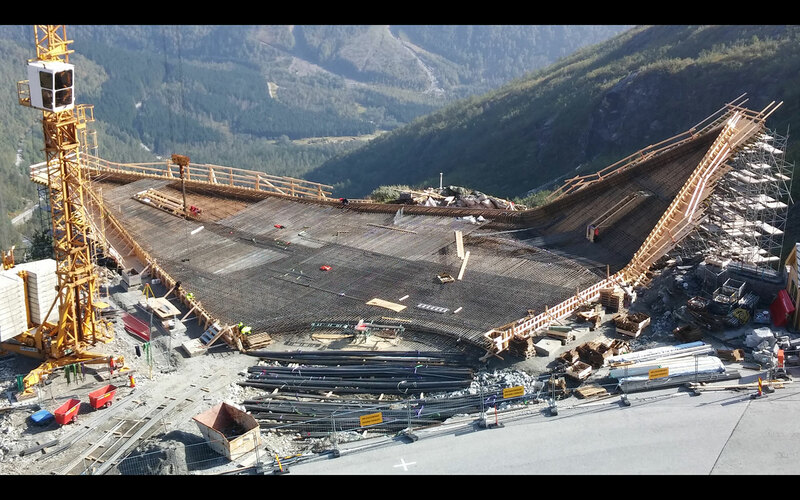 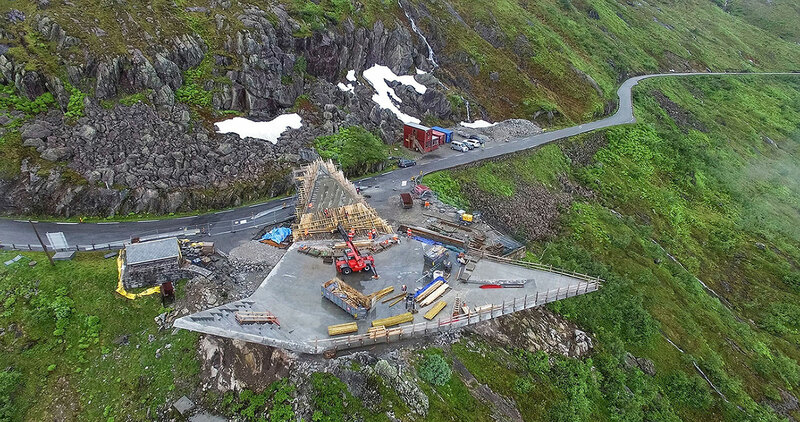 A new lookout along Norway’s National Tourist Route Gaularfjell is set to open in June 2016. 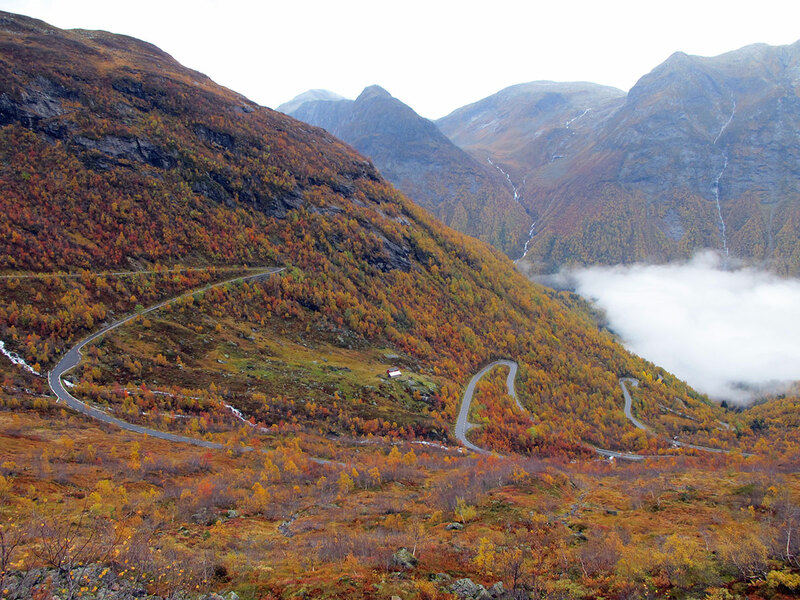 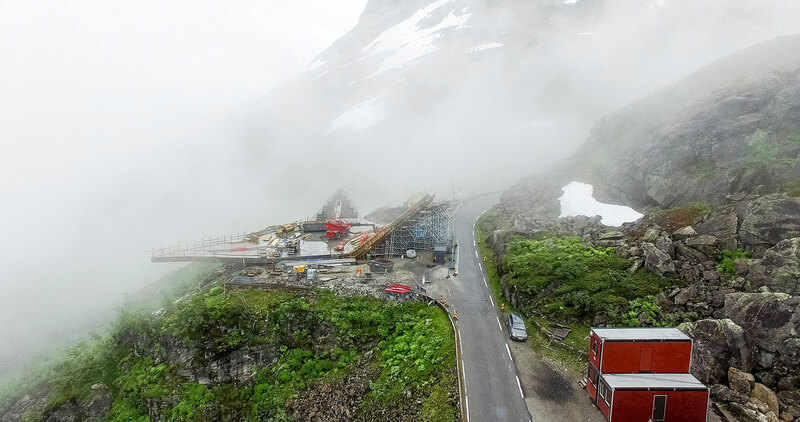 Labelled Utsikten, which is Norwegian for 'The View', the viewpoint is perched precariously on the side of the road as an addition to the country's Public Roads Administration's tourist locations. 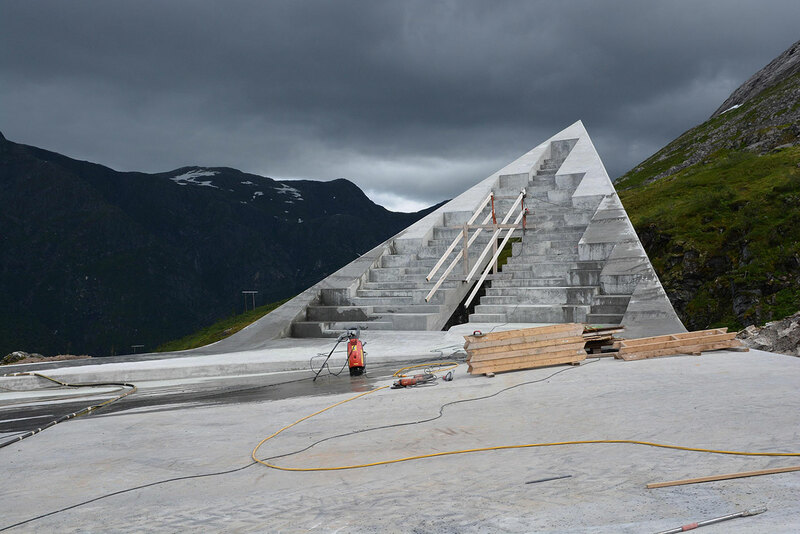 The minimalist concrete slab channels striking geometry, however some may argue that the stand-out feature is not the architecture of the lookout but what it's looking at: a breathtaking, uninterrupted view towards 1500m-high mountains and deep canyons. 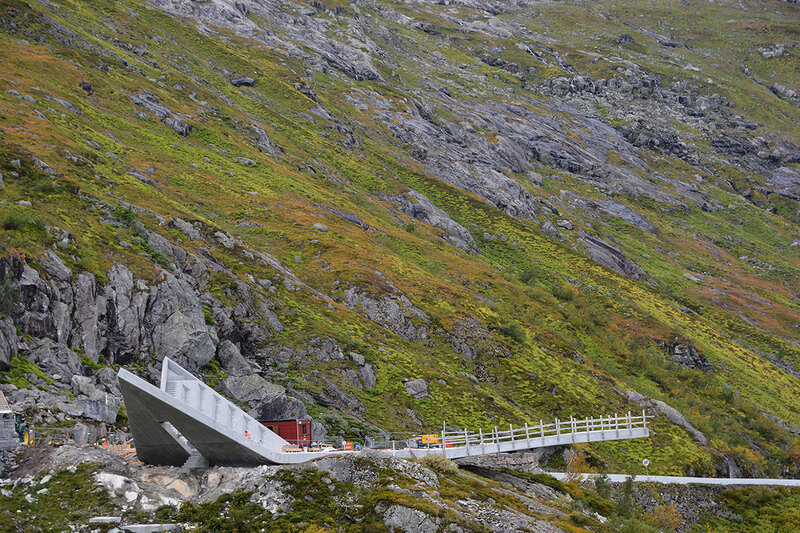 The lookout appears as if it is balancing on the edge of the mountain, 700m above the ocean. 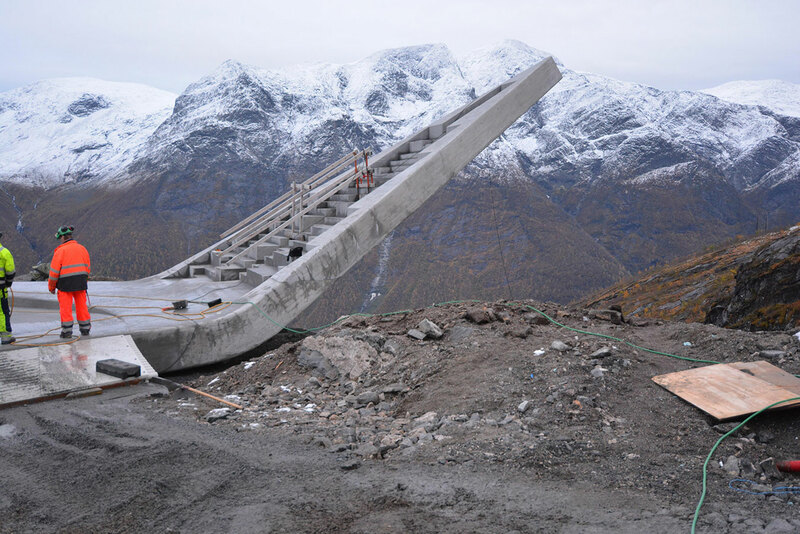 Code AS faced many challenges when building the project, with hurdles including: unpredictable weather conditions; no electricity at the construction site resulted in a diesel aggregate being used; no internet access; poor reception; and to finish it off, the road where concrete and other materials are transported is long, winding and closed during winter.